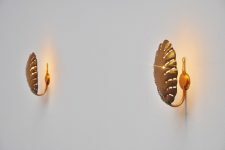 Very nice pair of Svend Aage Holm-Sorensen wall lamps made for Holm-Sorensen & Co, Denmark 1960. 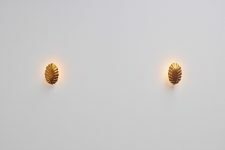 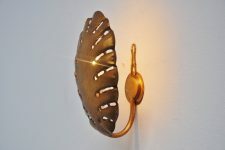 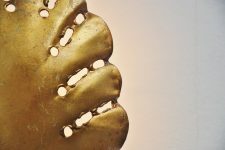 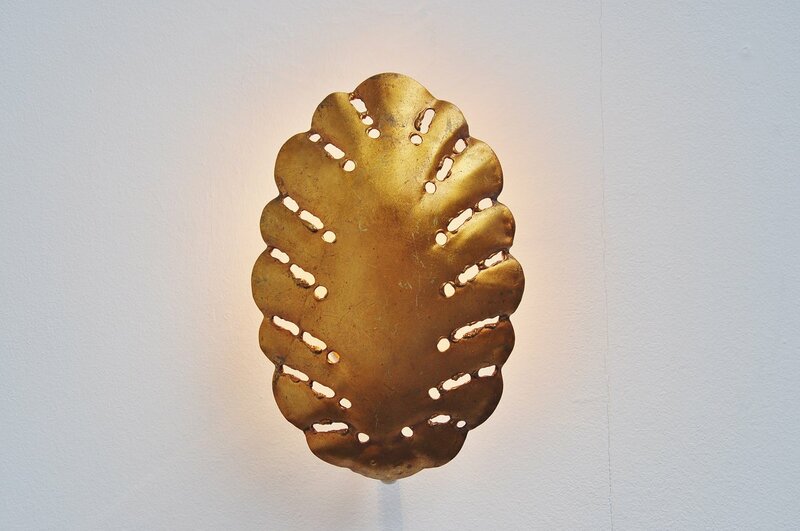 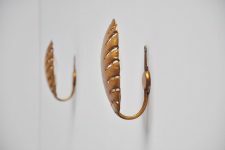 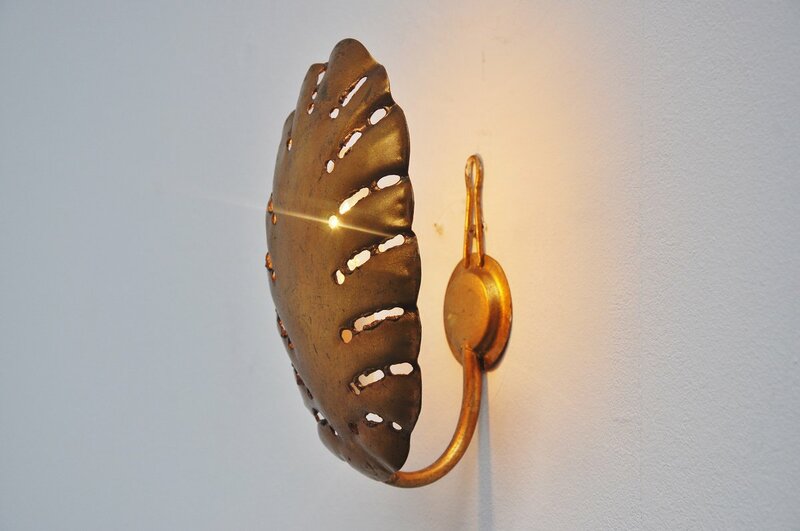 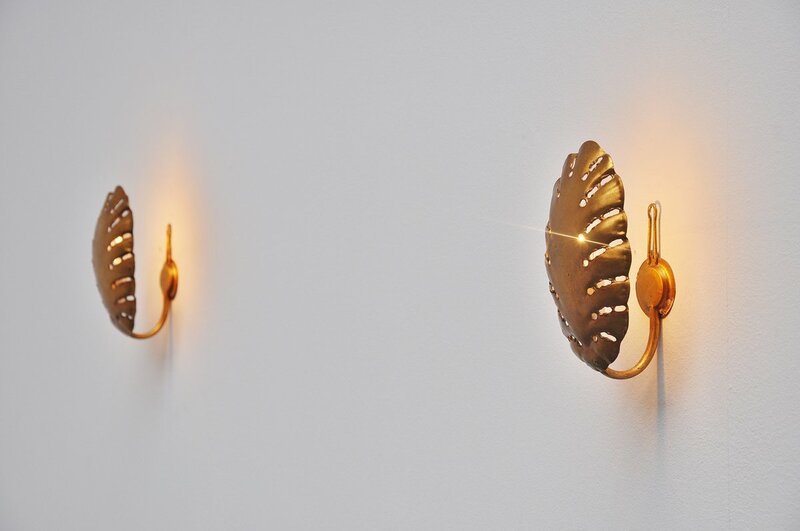 These very nice and subtle wall lamps are made of gold finished brass and give very nice and warm diffused light when lit. 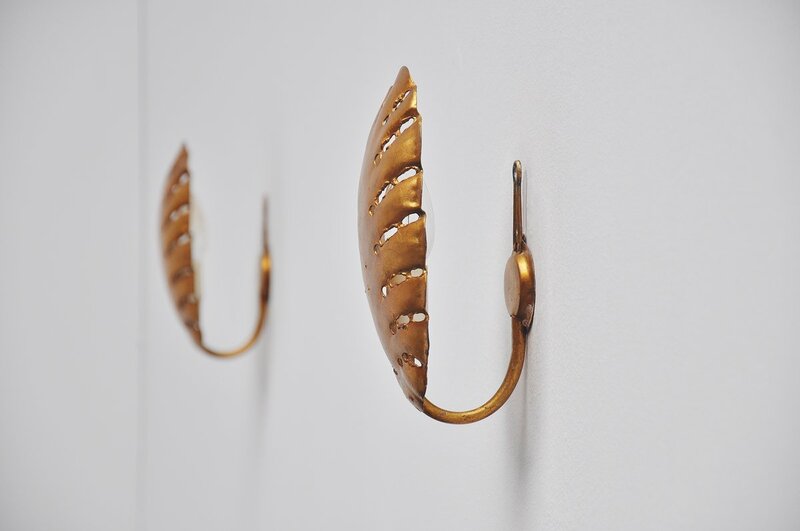 Easy to wall hang using only 1 screw.